I like to shave, and have always thought the razor I used until now provided a very good shave. I have always loved straight razors and thought nothing could give you a closer shave or even come close to doing the best job like they did. That has changed now. 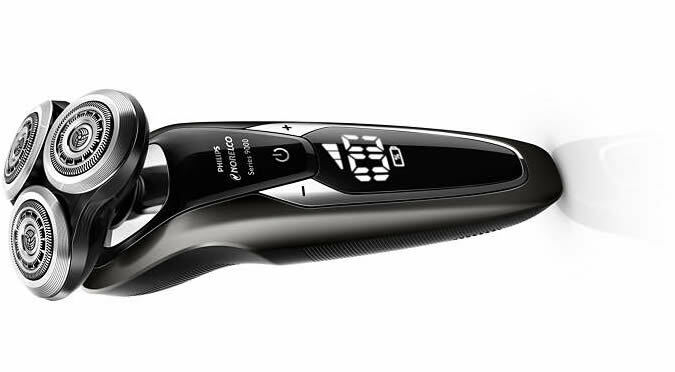 I gave the new Philips Norelco 9700 a go yesterday and I am very impressed with the closeness of the shave I achieved. I am even tempted to say it gave a closer shave than my beloved straight razor, and it probably did although I am still trying to hold on to my cave age belief that the straight razor is better. As part of activities to mark its 75 years in making male grooming products, Philips Norelco has announced a range of new products coming out in the coming months. They include a new body shaving groomer and a laser guided beard trimmer. 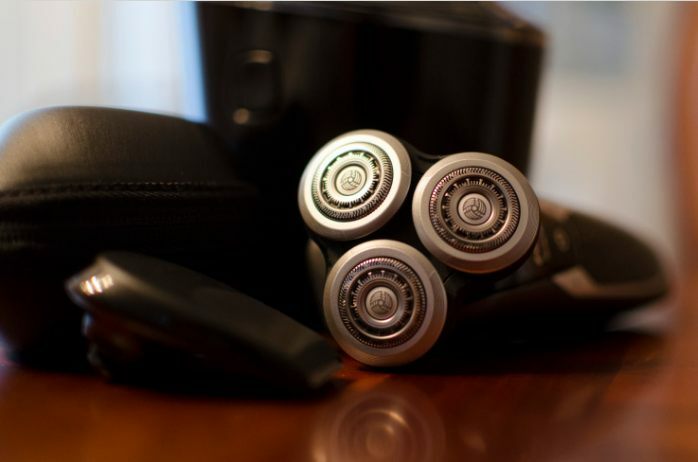 The Philips Norelco 9700 has a waterproof casing, and comes with a few new features that set it apart from other electric shavers. 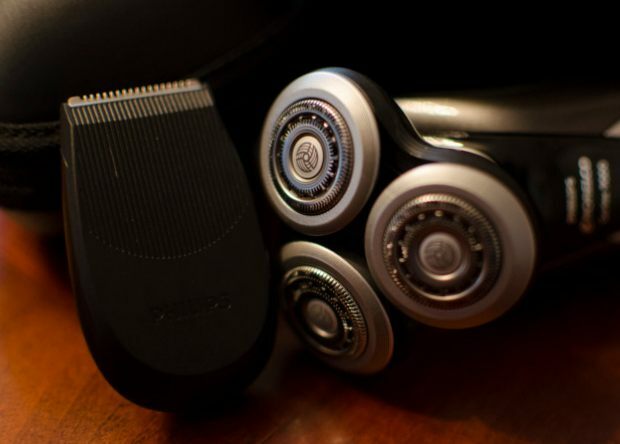 The most prominent difference is the v-shaped cutting blades that give a 30% closer shave (according to Philips). This is the reason I was able to achieve such a close shave. Another new feature is the 9700’s contour detect technology. This allows the cutting head to move in 8 different directions giving you the chance to get to those difficult to reach areas. According to Philips you can reach 20% more hair because of this technology. The third distinguishing feature is its cleaning system. 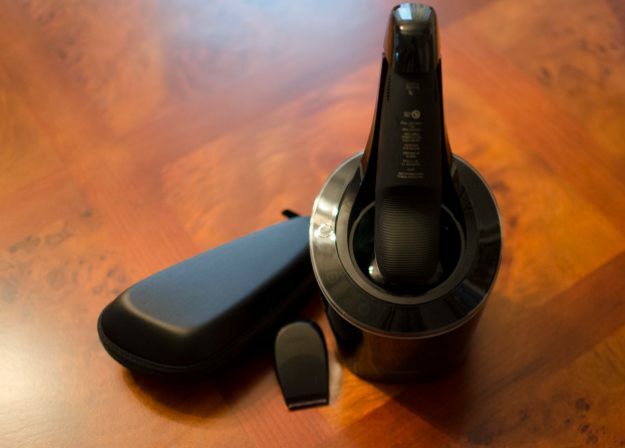 With the press of just a single button, the SmartClean System Pro will clean, dry and lubricate the shaver. It takes about just 10 minutes to clean and 4 hours to dry. Although it takes such a long time to clean, the cleaning system was very easy to understand. My only issue I have with it is the cleaning solution cartridge, which drips fluid when you move the SmartClean around. This is not really an issue though as you can leave it at one place to clean rather than moving it around. The 9700 Norelco also includes a beard trimmer. The device can be charged on its own or you can use the SmartClean system to charge it. There is also a plan to bring out an app soon for testing different beard types on its user’s faces. The aim is to help you better choose a beard type that suits your personality. The Norelco 9700 will be released on October 1, 2014 and will be available at several retailers such as Wal-Mart, Target and Costco. In the meantime you can pre-order the system including the cleaning kit at Amazon. The Norelco 9700 does an excellent job but if it is outside your price range or you can’t wait for it to become available, you should see the alternatives we have in this category.